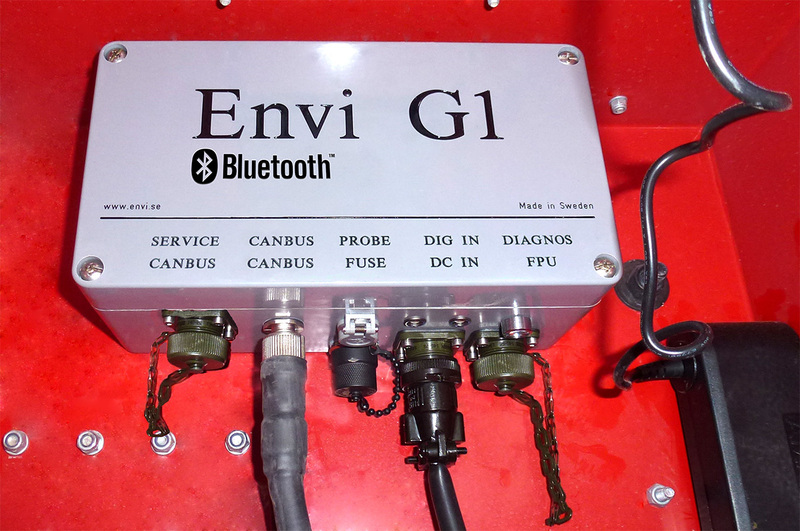 A fully digital logger system allowing maximum user control. 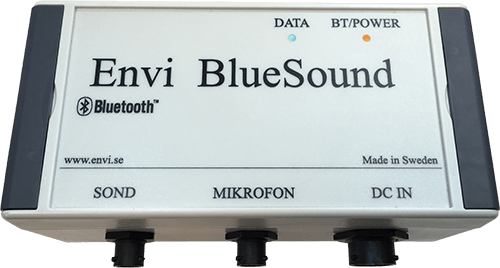 Bluetooth powered data transfer. 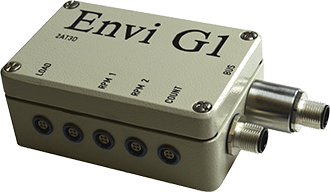 The G1 system is a digital logger system for recording drill data. 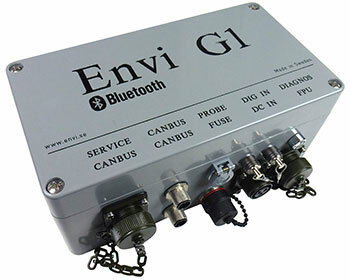 A CAN bus for up to 64 CAN open sensors is used for data communication. Presentation can be done on any type of PC. 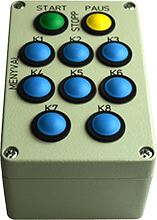 All contacts and boxes conform to IP65 or better (most components fulfill IP67 or better). Cables are oil and cold resistant and made for flexing use. 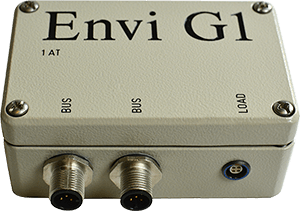 You can use analogue sensors and convert it to digital CAN data using an Envi CAN converter box. Operating temperature is -20 ̊C to 70 ̊C. Buttons made of oil resistant plastic. Physical dimensions 120 x 80 x 60 mm. 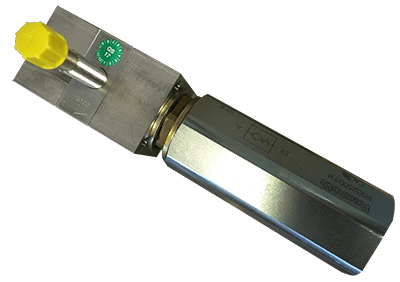 We use a an OEM flow meter. 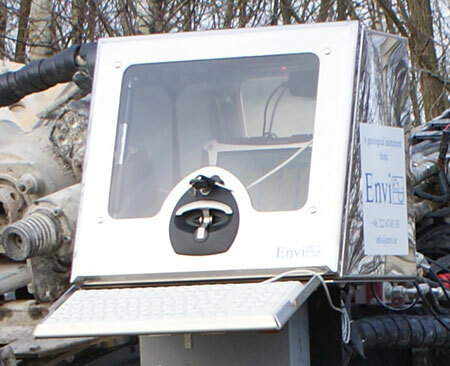 If installed by Envi, we manufacture a custom built protective mounting plate for your drill rig. 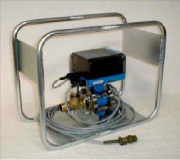 Using the rack the meter can be used with many rigs and loggers systems. You can buy a PC of your own choice or order one from us to get it delivered together with the system. 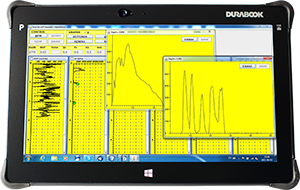 All required software are installed, tested and verified if you choose our suggested solution. Our tablet PC's are operating the Windows 10 system. If you want to protect your PC you can add the PC protection box. This is made of 2.5 mm stainless steel and has a window so you can see the PC also with the lid closed. We have several variants in store but you can also order a tailor made protection box. 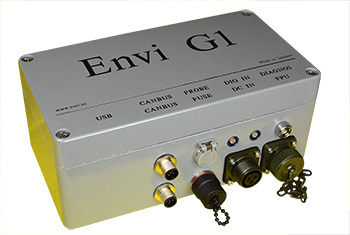 All types of protection boxes work better with external keyboard added, and even better if you add the Envi Keypad too. Send us a mail using our mail form.